Sometimes we might not realize that there are people who are colorblind among us. Can you imagine... how hard they want to see through their eyes with the correct colors and how they survive in their everyday life. Not that easy if they are not wearing color blind lenses to help them solve their color vision deficiency. Colorblind is very common but colorblind lens is very uncommon. 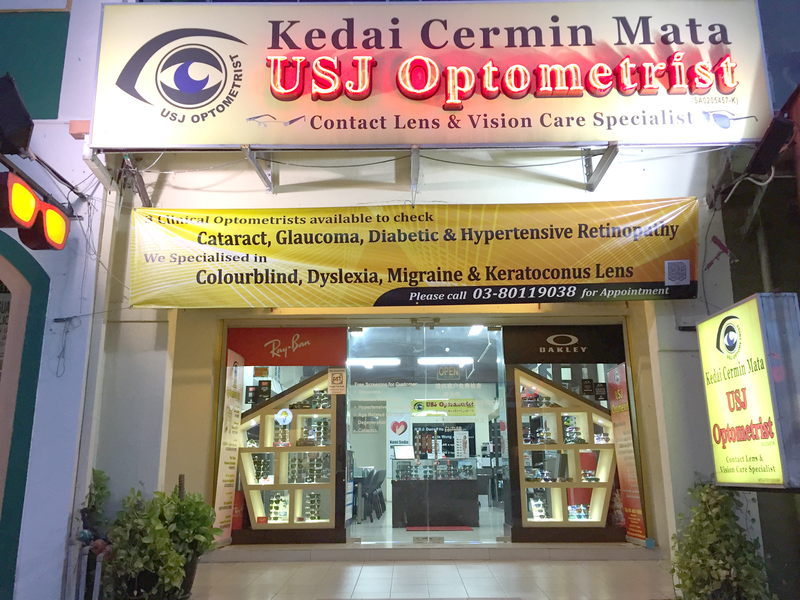 USJ Optometrist is specialized in prescribing them in which they are the distributor of this lens in Malaysia. Colorblind lens helps in correcting color vision while enhancing or improving the color perception. The color vision lens are available in either contact lenses or spectacles lenses that are individually prescribed for patients suffering from reading disorders commonly known as dyslexia and for people who are suffering from color blindness. This lens works by changing the light wavelength and level of each color going into the eye and helping to offer enhanced color perception and color discrimination, they find the brightness of all colors, even the colors they normally identify correctly, seem richer and more vivid. The lens will help patients to pass Ishihara color vision test, Farnsworth D-15 test, Pseudoisochromatic Plate (PIP) Color Vision Test, and City University Color Vision Test. 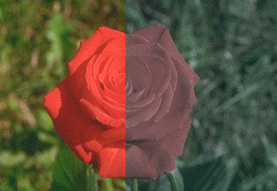 The above image was produced by a color deficient as a demonstration of how they would normally see a rose (right) and how they see it with the color vision lens (left). This is how numbers look to an anomalous trichromate (three photopigments, one pigment is just a little off) on a color vision test. This is how objects look to a dichromate. 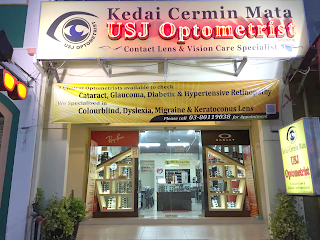 USJ Optometrist in Taipan, Subang Jaya is an optometry practice that does a lot of therapeutic lenses to help eye problem patient or anyone with refractive error to see clearly and comfortable. Unlike most optical shops, they have 5 practicing clinical optometrists which have plenty of experience in dealing with all sort of eye problems, ranging from elderly multifocal lens to baby glasses & contact lens. They can solve binocular vision problem (phoria & tropia) and fit lenses to correct color vision defect (colorblind), keratoconus, retinitis pigmentosa, migraine, dyslexia, progressive myopia & etc. 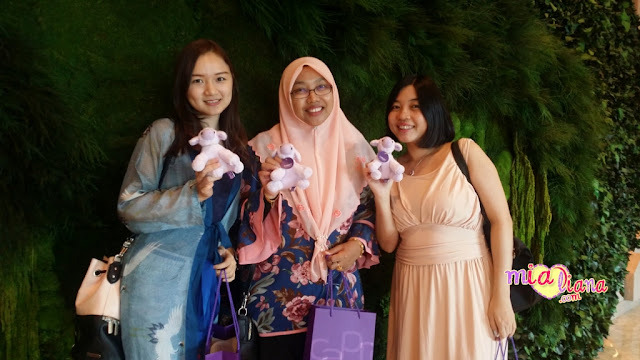 They are well trusted by many eye specialists in Klang valley & KL for their excellent service and skill, more importantly they charge a very reasonable price with good quality products. 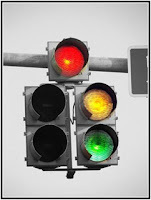 So, if you are having problem with colorblind... please do not worry. Just make an appointment then go to USJ Optometrist for your solution. USJ Optometrist, your contact lens and vision care specialist. alhmdllh mata sy ok ..
alhamdulillah, setakat sekarang mata Eyda ok..
haritu ada buat quiz bi pasal colorblind ni. good info kak mia !